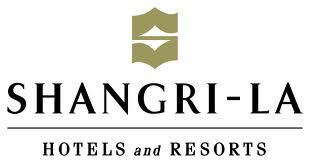 Shangri-La Hotels and Resorts has signed an agreement to manage Shangri-La Hotel, Doha and Traders Hotel, Doha. Scheduled to open in the first quarter 2013, the hotels will be located in the commercial centre of Doha just 300 metres apart. Shangri-La International Hotel Management Limited president and chief executive officer Greg Dogan said: “The opening of both Shangri-La and Traders hotel in Doha reconfirms our commitment to expansion in the Middle East. Our target is to build a regional presence and we are delighted to be opening two hotels in Doha in a prime location with such dedicated owners”. Shangri-La Hotel, Doha will feature 252 guest rooms, 42 serviced apartments, an 840m² ballroom, and the group’s signature spa brand, Chi The Spa. Restaurants will include a The Den, a piano bar; Sridan, a Middle Eastern food souk, Fuego, a Latin American outlet; and Shanghai Club, a Chinese restaurant/lounge. The neighbouring Traders Hotel will offer 238 guest rooms including 44 suites and 84 serviced apartments with kitchenettes. Outlets include a sushi and noodle restaurant and steakhouse and recreation facilities comprise a health club and spa with indoor pool and sun deck. Hong Kong-based Shangri La Hotels and Resorts owns and/or manages 72 hotels under the Shangri-La, Kerry and Traders brands.